Roadkill abc is humorous and alarming, inspiring questions of what gets left behind—and why. Adair McPherson’s Roadkill abc is a decidedly adult picture book, full of carcasses and decay and a great deal of snarky humor. Its simple concept—pairing the detritus at the side of US highways with letters of the alphabet—is both funny and sad, whether it focuses on images of the severed arm of a plastic baby doll or of a mobile home lurching into a ditch. Illustrated with photographs, the content ranges from children’s toys to animals to household products, including a mattress. Some inspire giggles—a throng of dead insects on a rearview mirror, a jack-o’-lantern that mostly withstood his fall—while others are more disturbing, like a car demolished at a railroad crossing or an owl with its wings crushed. Still other photos suggest stories and social commentary: z is for a towed Zipcar, v is for a valentine perhaps thrown out the window by a spurned lover. At times, the images don’t quite match their letters; they have to be pushed into shape, as with phonetic spellings for k’s and n’s images, and a twenty-dollar bill that stands in for dollar. Still, pictures are direct, seemingly without postproduction sleight of hand, adding to the gritty feel of the book. 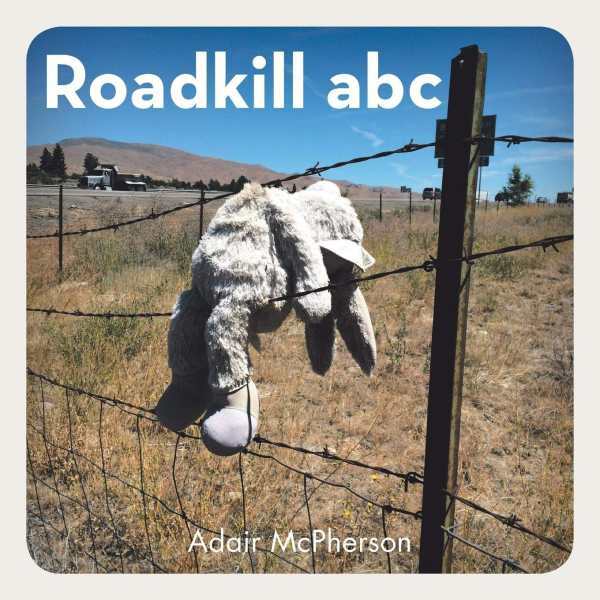 Roadkill abc is an unlikely marriage of the institution of a child’s alphabet picture book with photos of the dead and the discarded. Humorous and alarming, it is the sort of book a joking friend might gift to an expecting couple, but it could also inspire an interesting discussion with older children about what gets left behind and why.